"This story, if it is one, deserves the closure of a suicide, perhaps even the magisterial finality of what is usually called a novel, but the remnants of that faraway time offer nothing more than a taste of damp ashes, a feeling of indeterminacy, and the obdurate inconclusiveness of passing time." 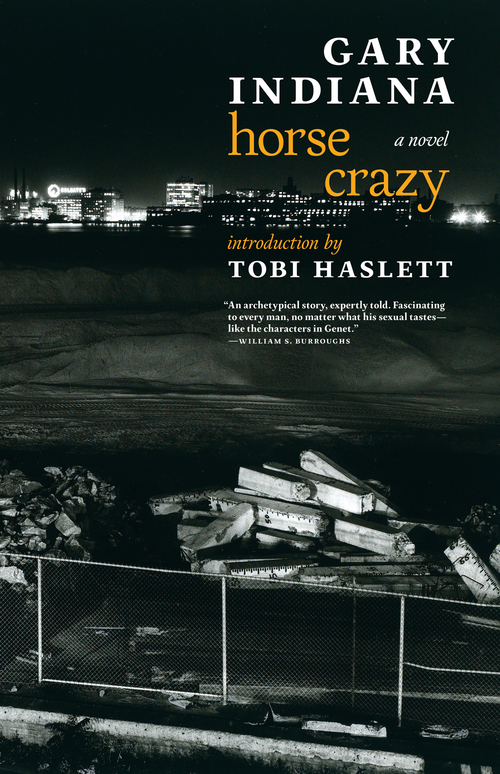 So writes the unnamed narrator of Horse Crazy, looking back on a season of madness and desire. 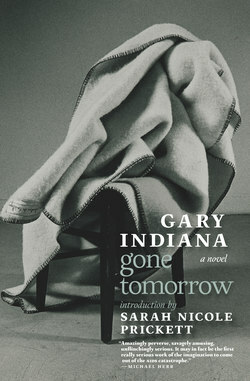 The first novel from the brilliant, protean Gary Indiana, Horse Crazy tells the story of a thirty-five-year-old writer for a New York arts and culture magazine whose life melts into a fever dream when he falls in love with the handsome, charming, possibly heroin-addicted, and almost certainly insane Gregory Burgess. 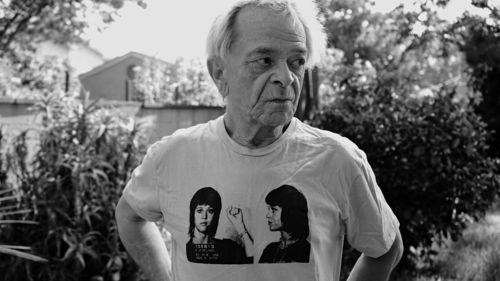 In the derelict brownstones of the Lower East Side in the late eighties, among the coked out restauranteurs and art world impresarios of the supposed "downtown scene," the narrator wanders through the fog of passion. Meanwhile, the AIDS epidemic is spreading through the city, and New York friendships sputter to an end. Here is a novel where the only moral is that thwarted passion is the truest passion, where love is a hallucination and the gravest illness is desire.